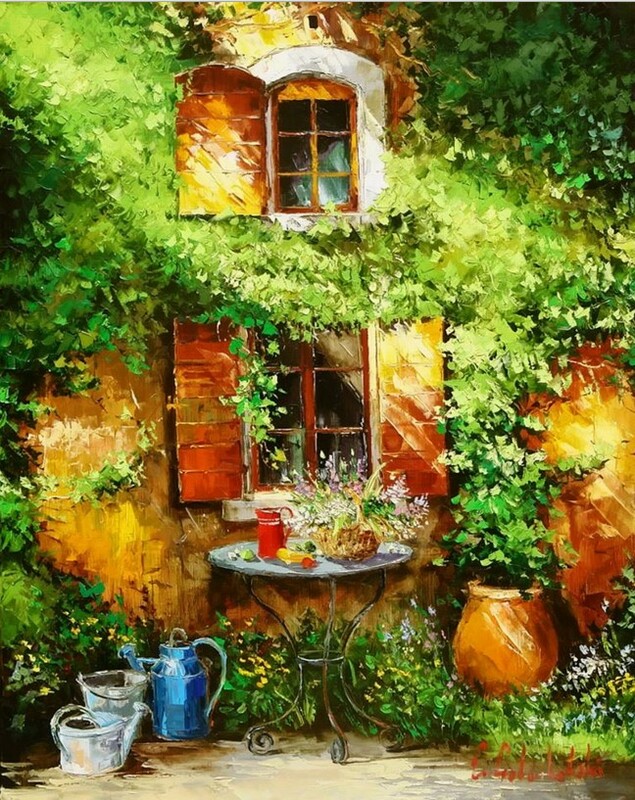 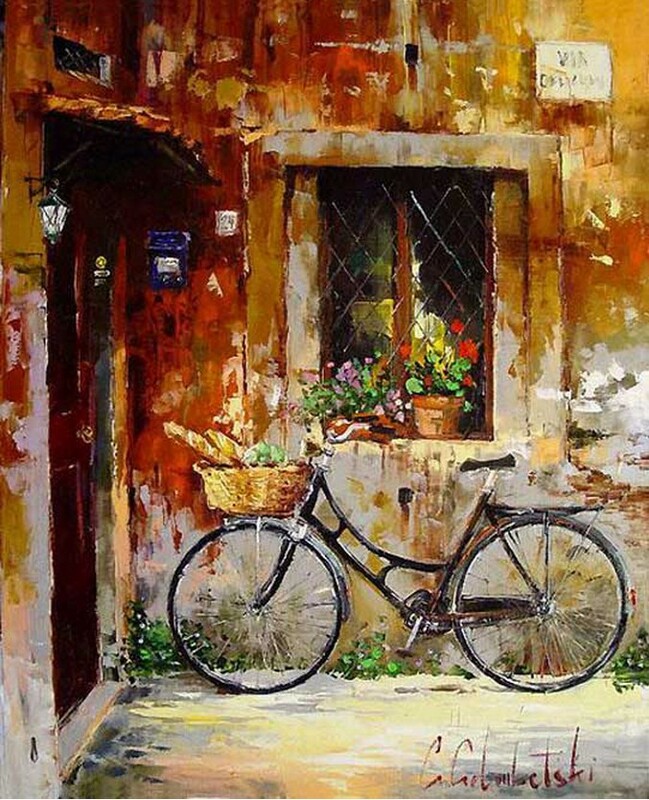 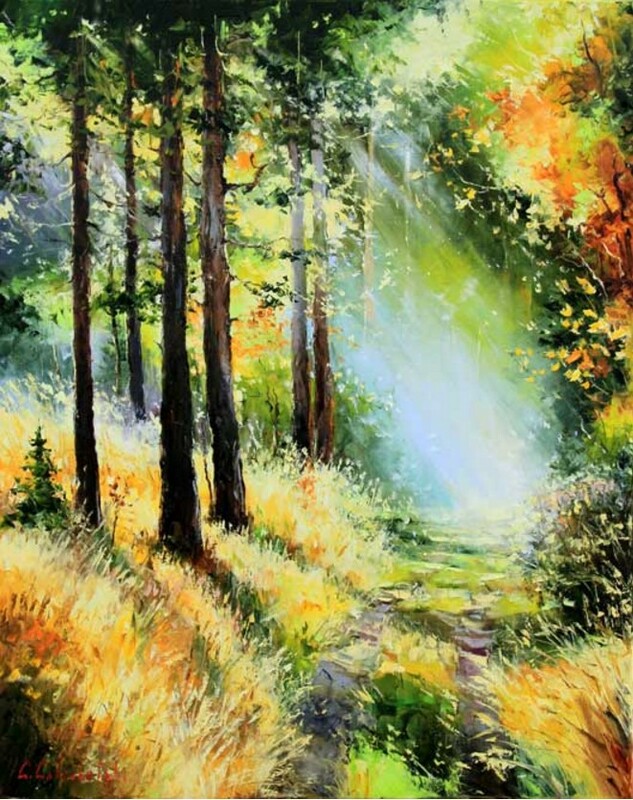 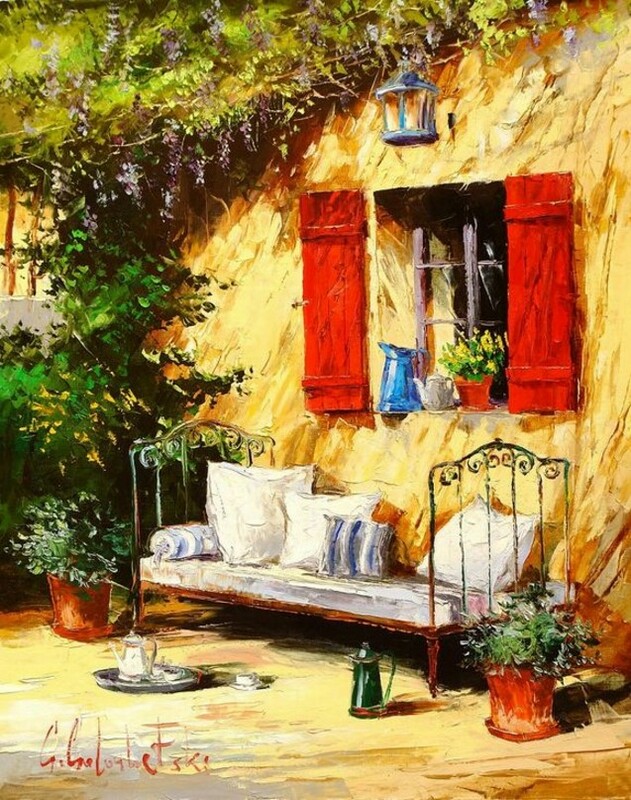 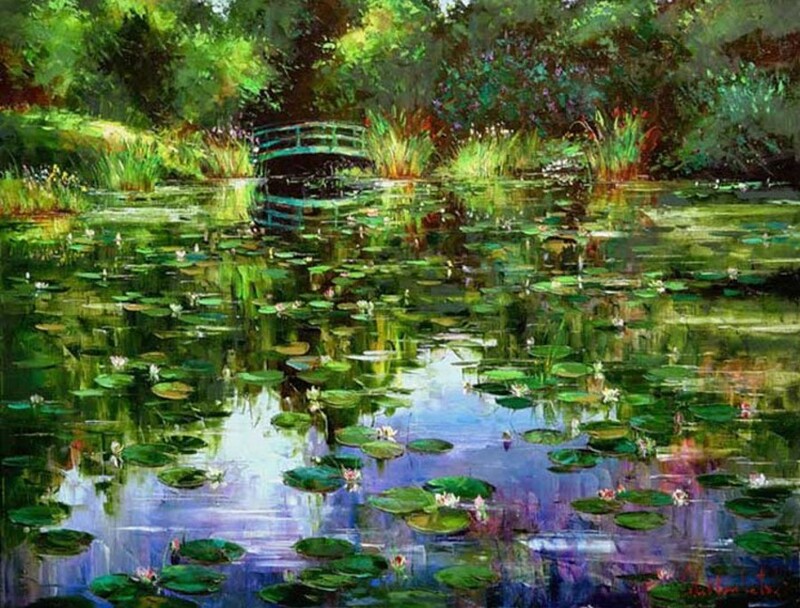 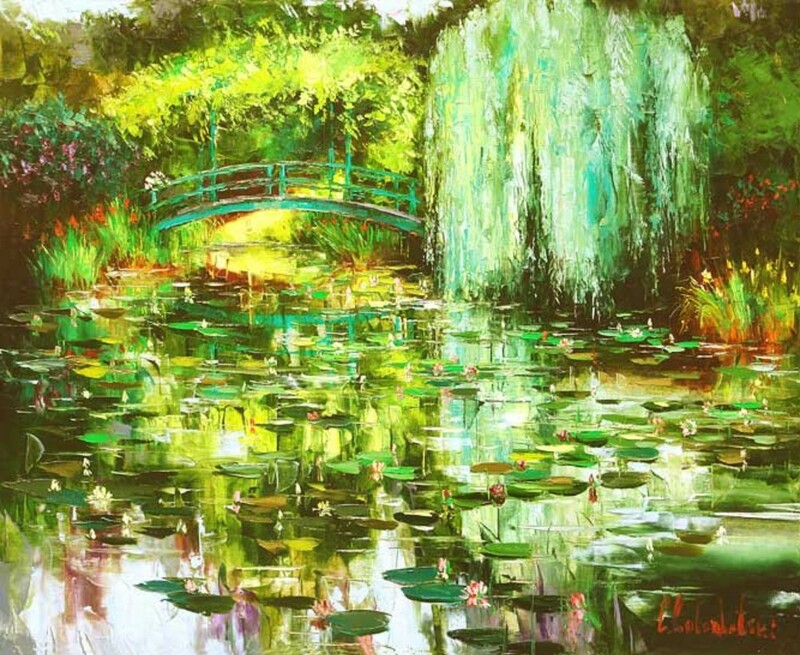 Born in Omsk in the former Soviet Union in 1975, Gleb Goloubetski displayed noticeable artistic talent and a keen interest in the arts from an early age. 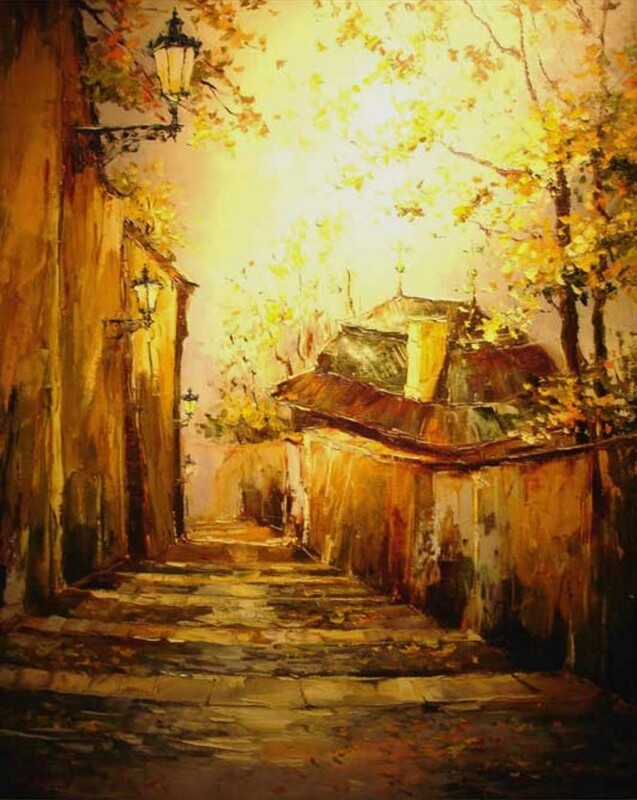 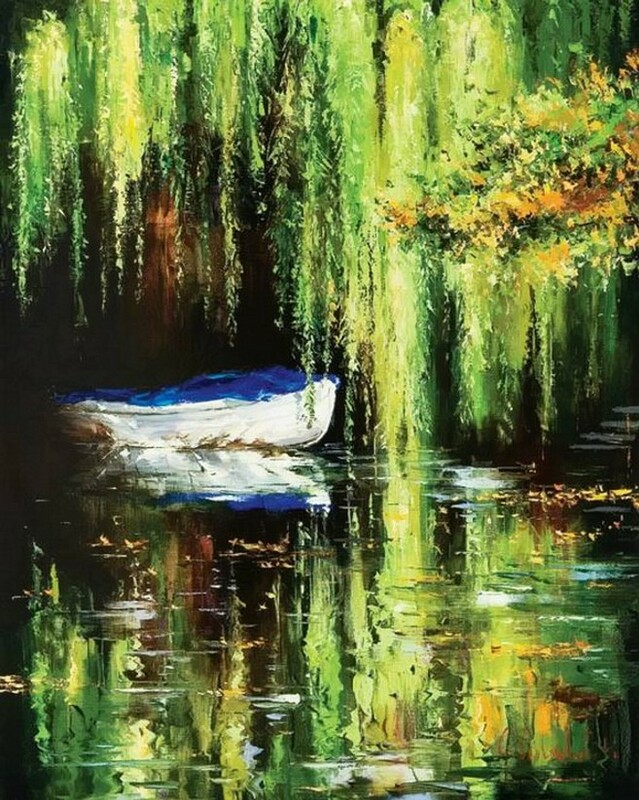 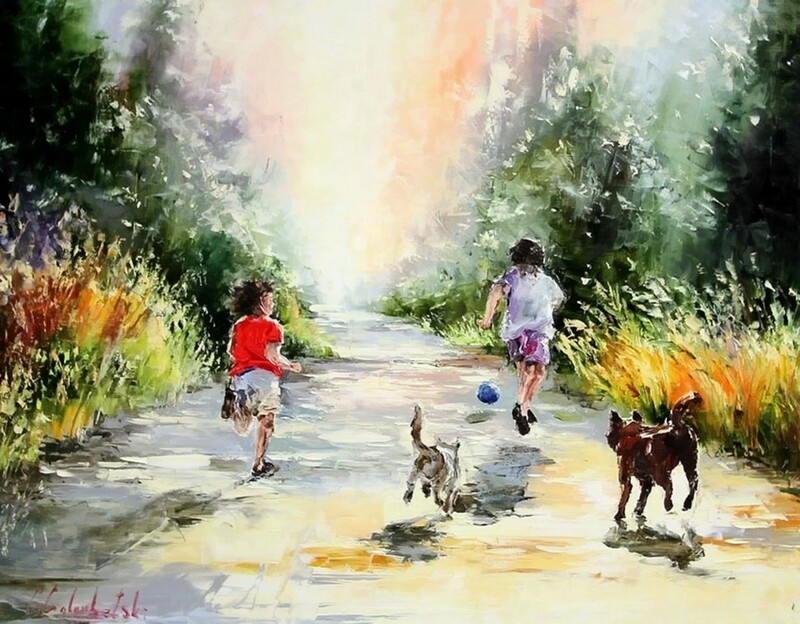 His initial tutorage and inspiration came from his late father, who achieved success as a painter in his own right and who actively encouraged Goloubetski to paint. 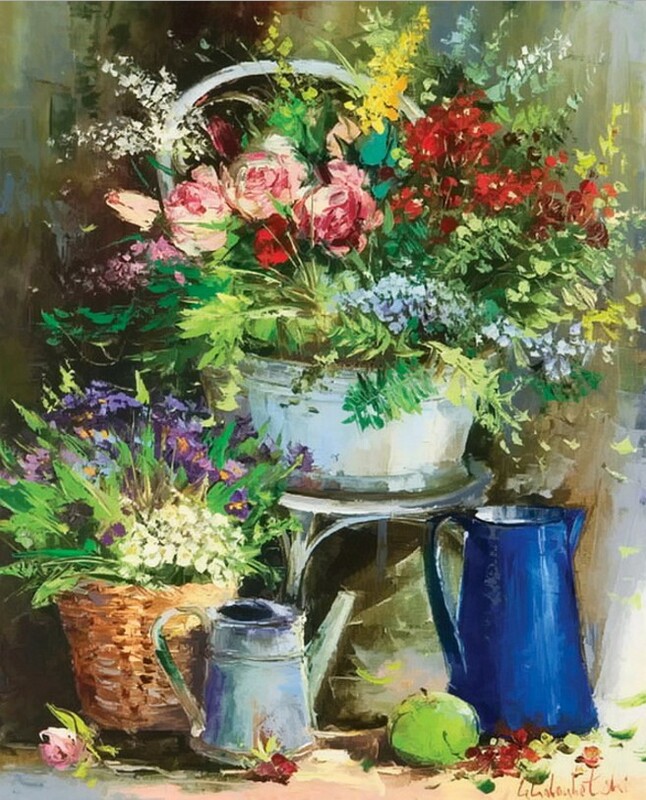 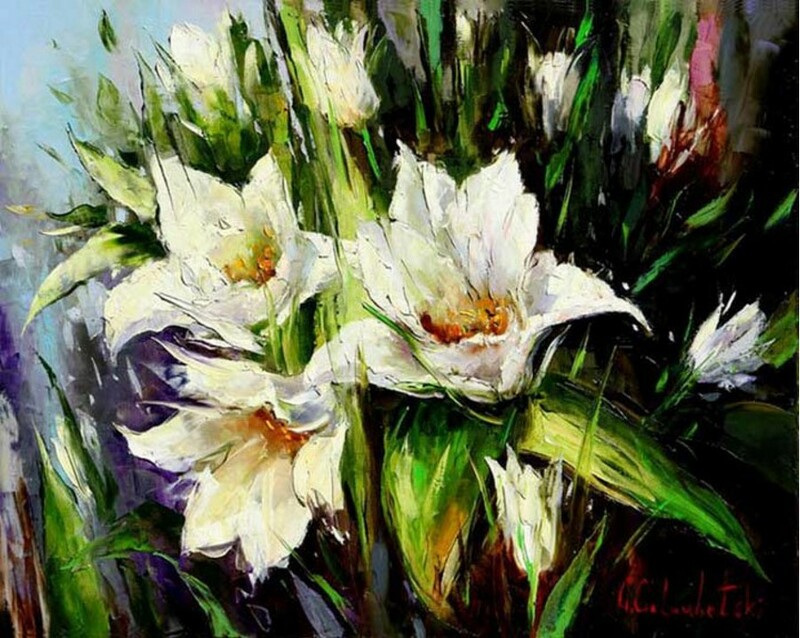 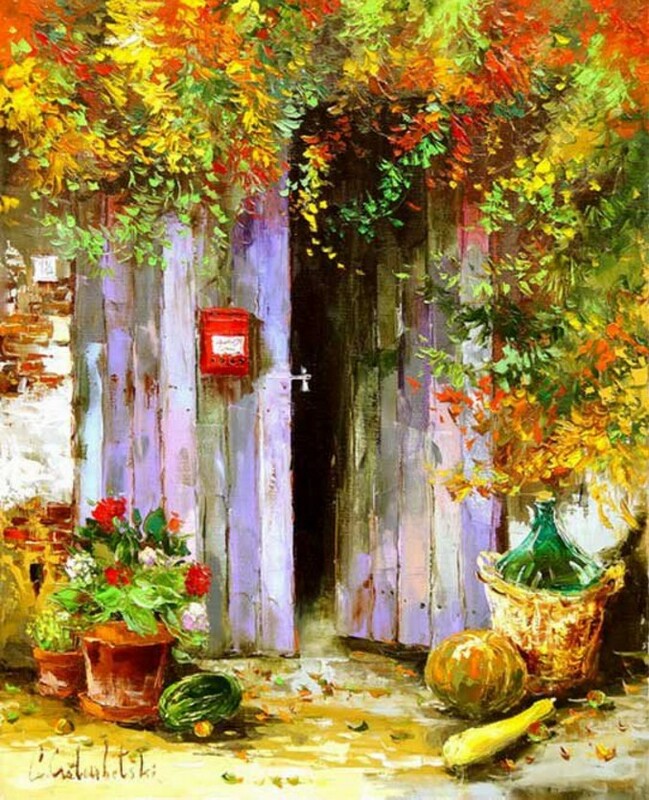 Goloubetski’s formal training came from his studies at the highly acclaimed academy in St Petersburg where his work attracted much attention. 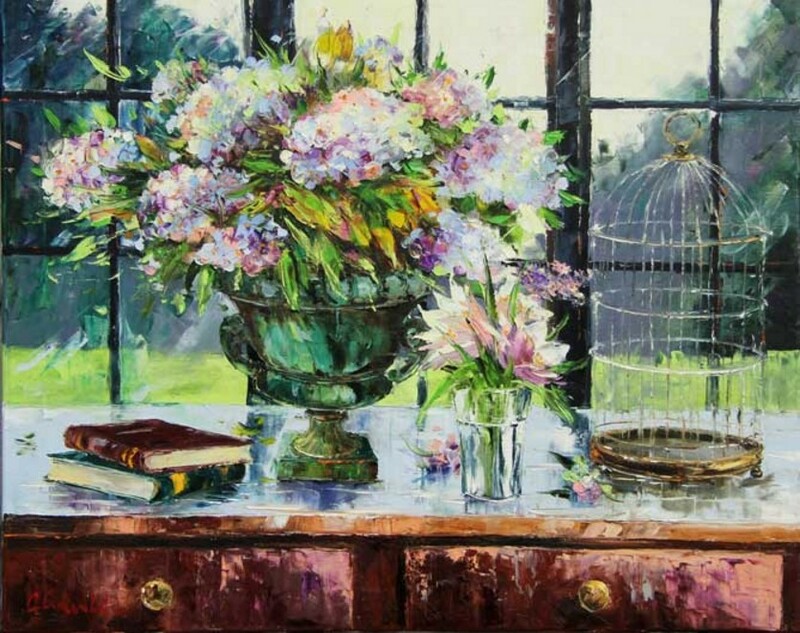 He maintains a close relationship with both the academy and his former professor. 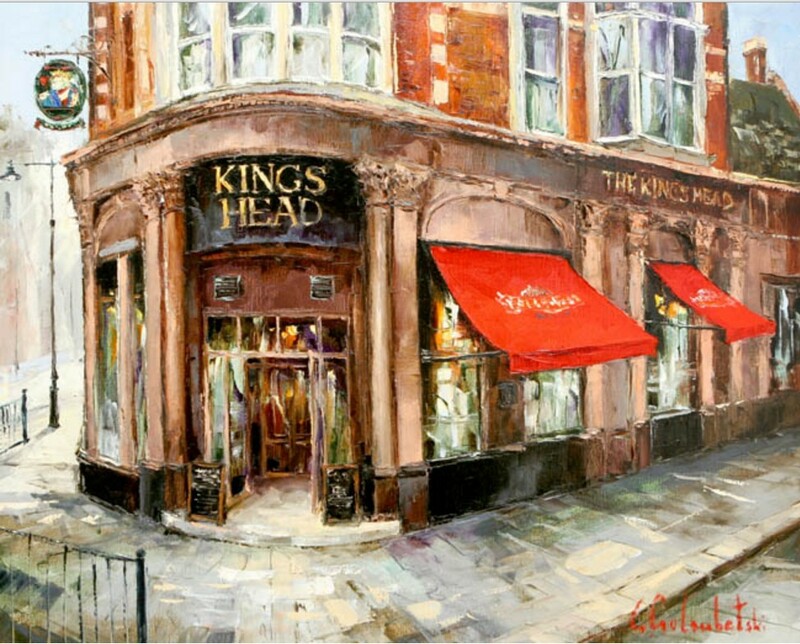 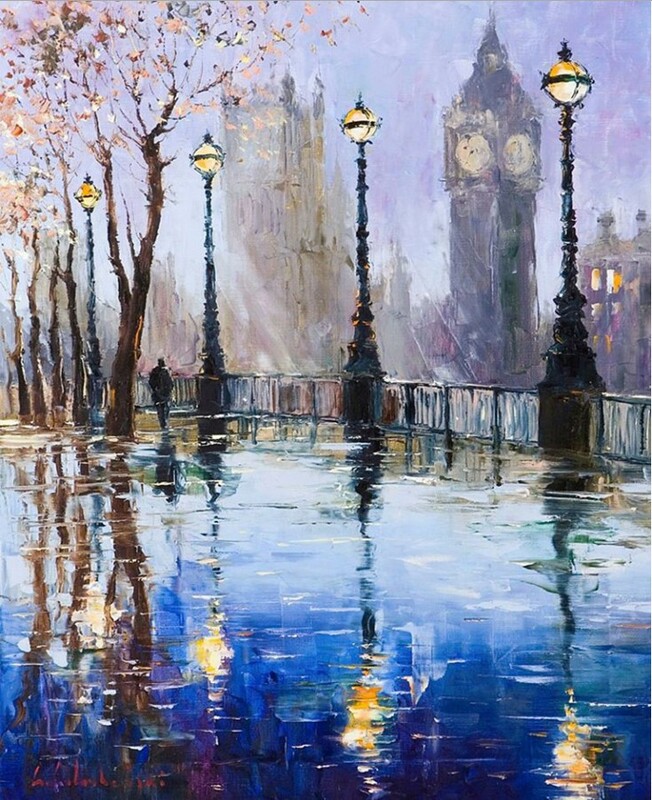 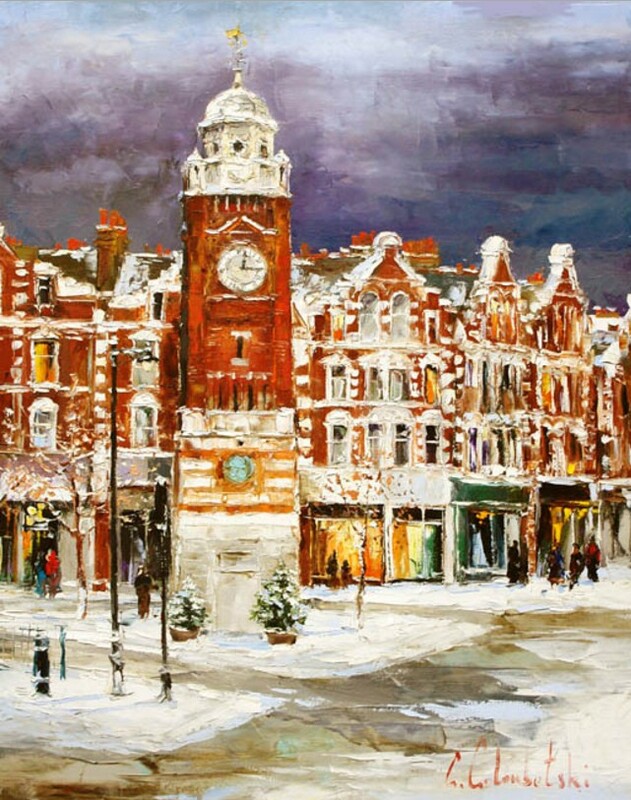 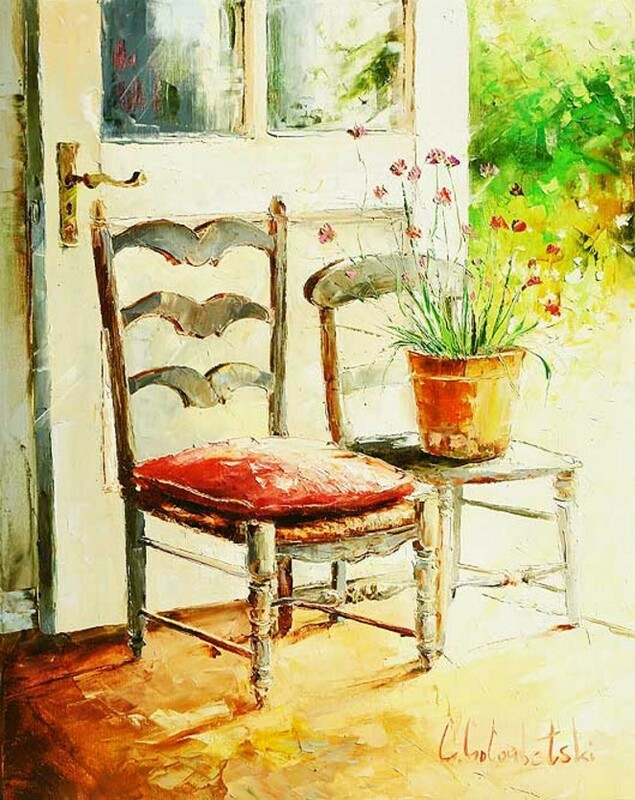 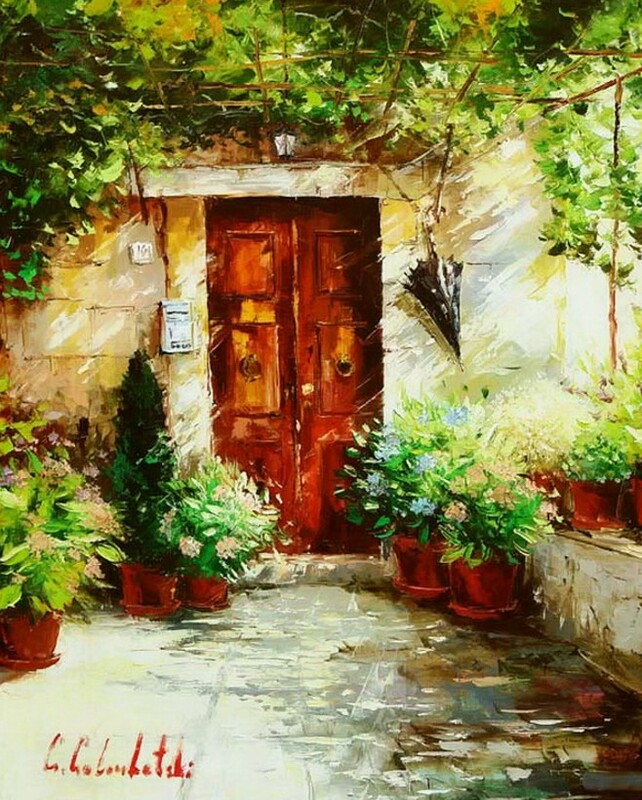 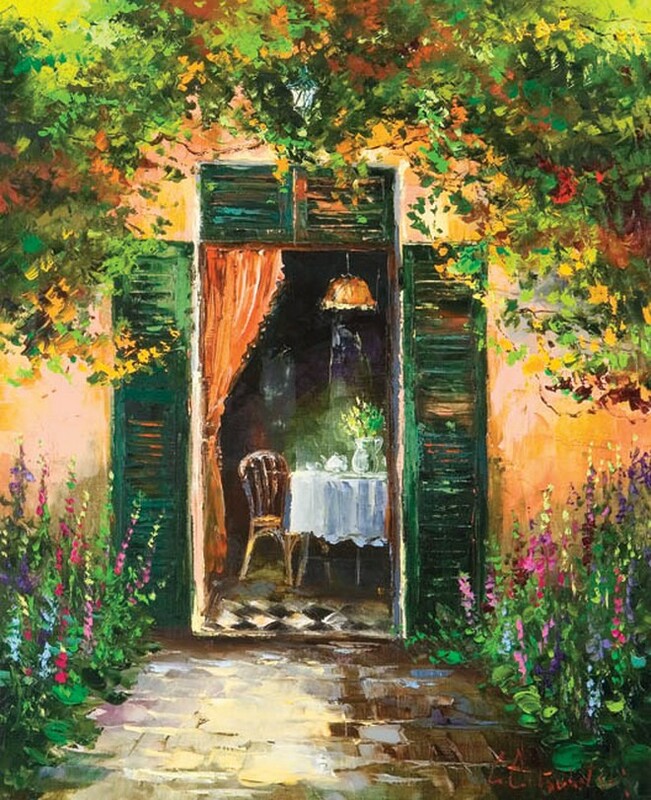 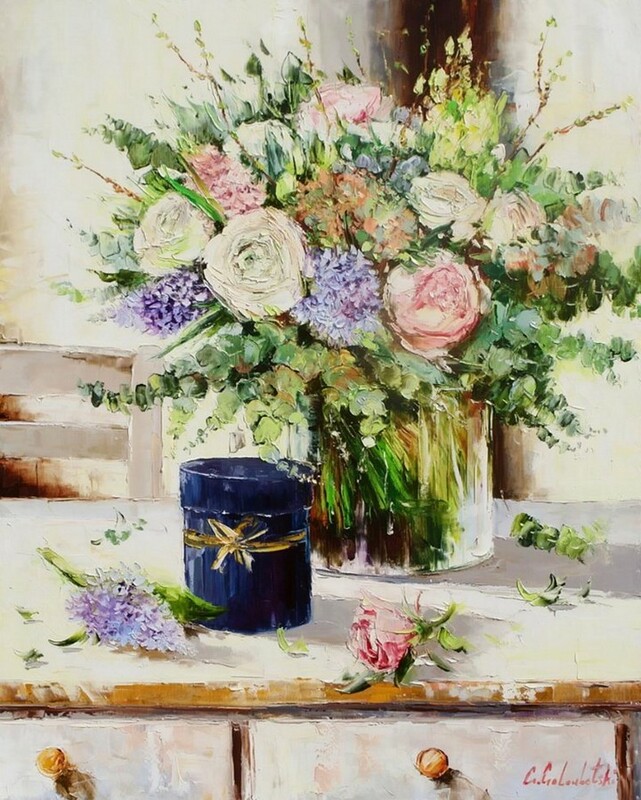 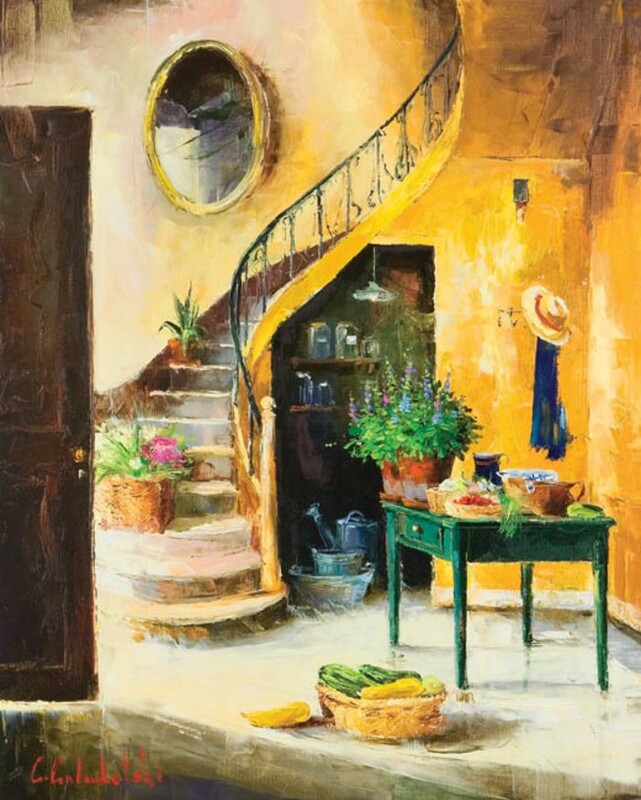 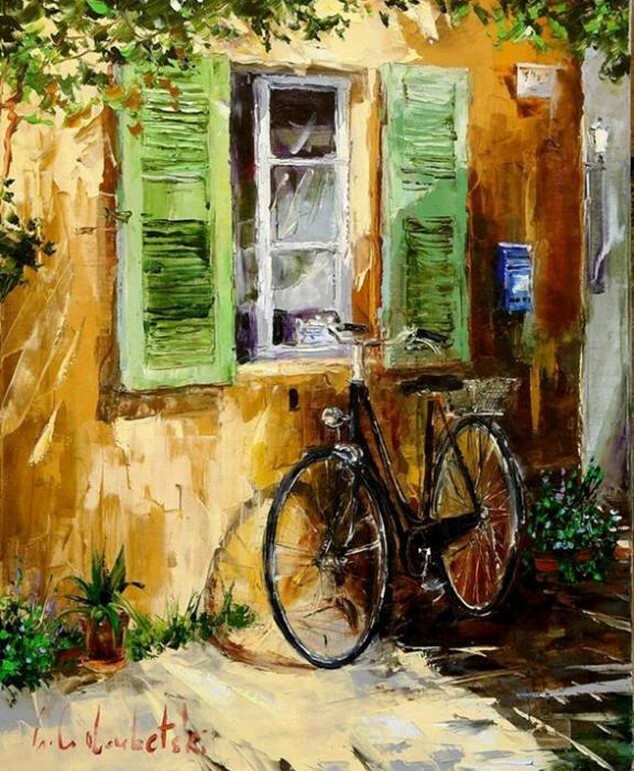 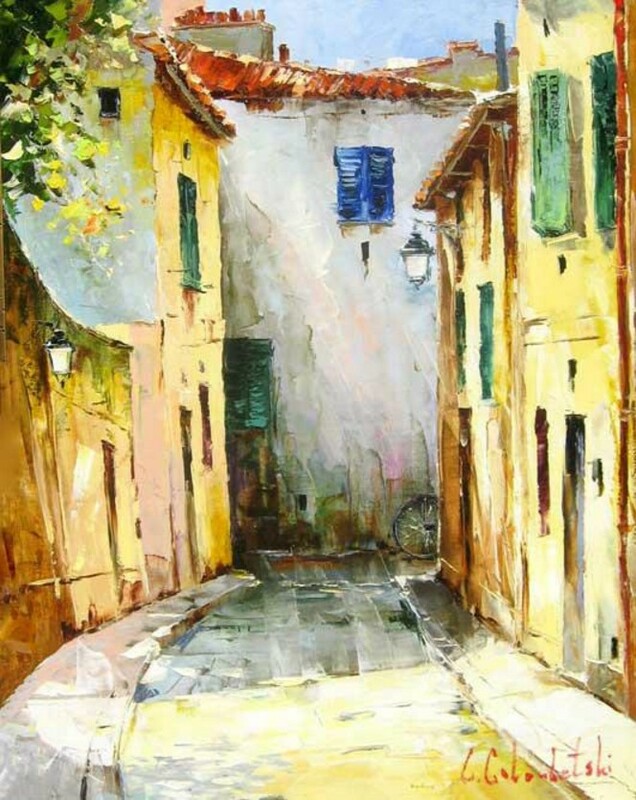 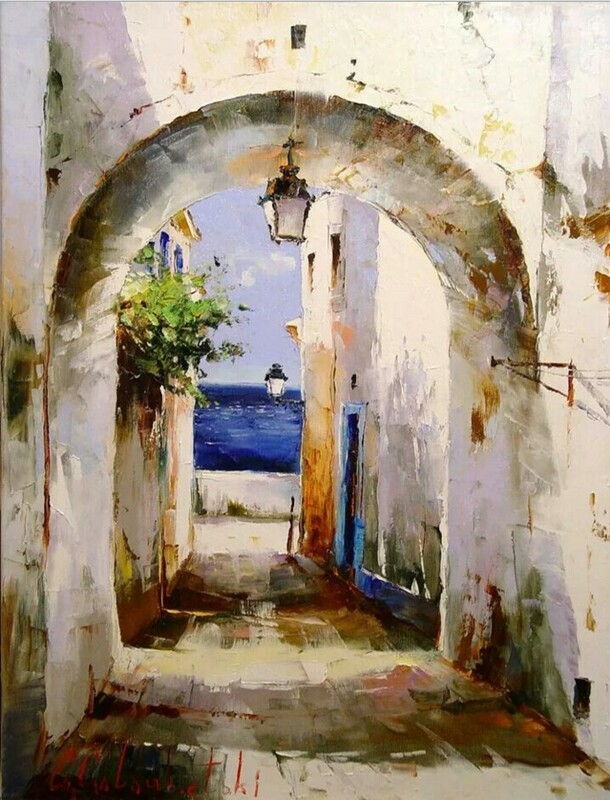 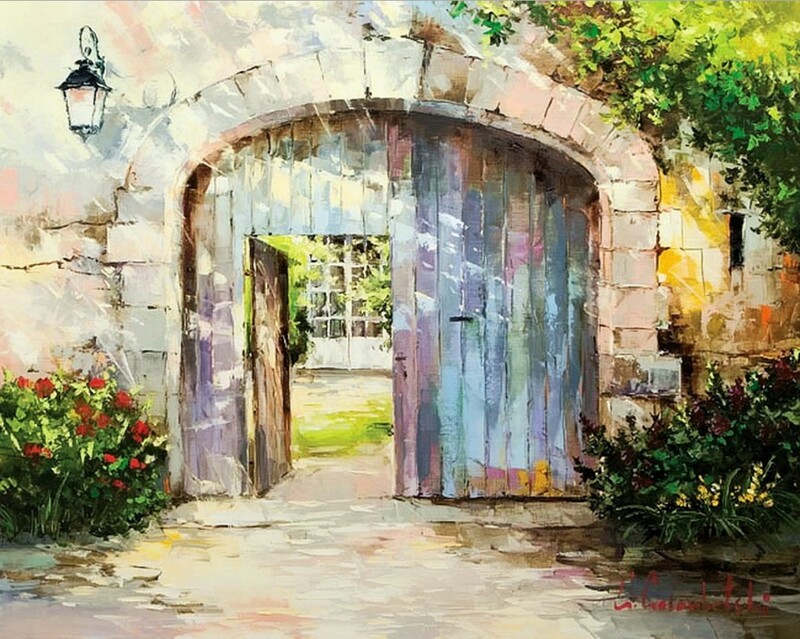 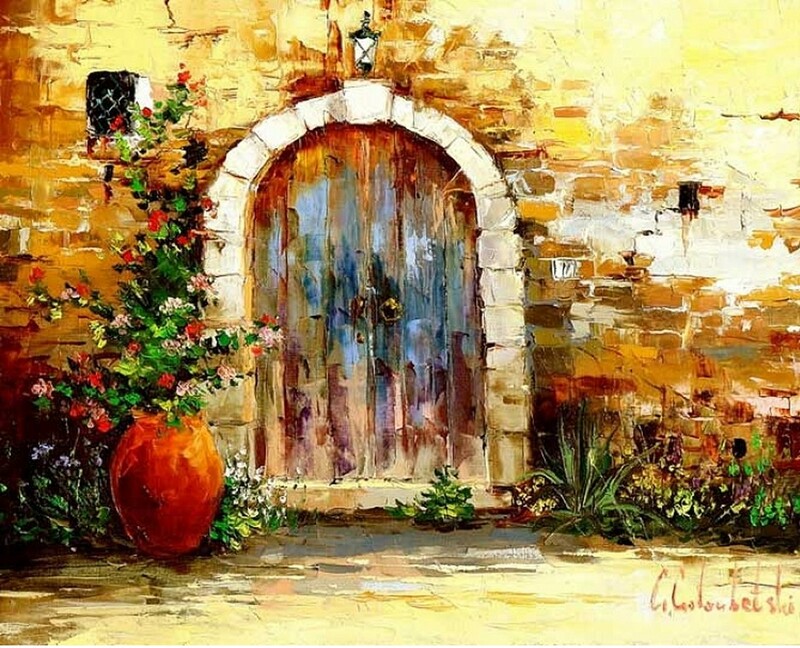 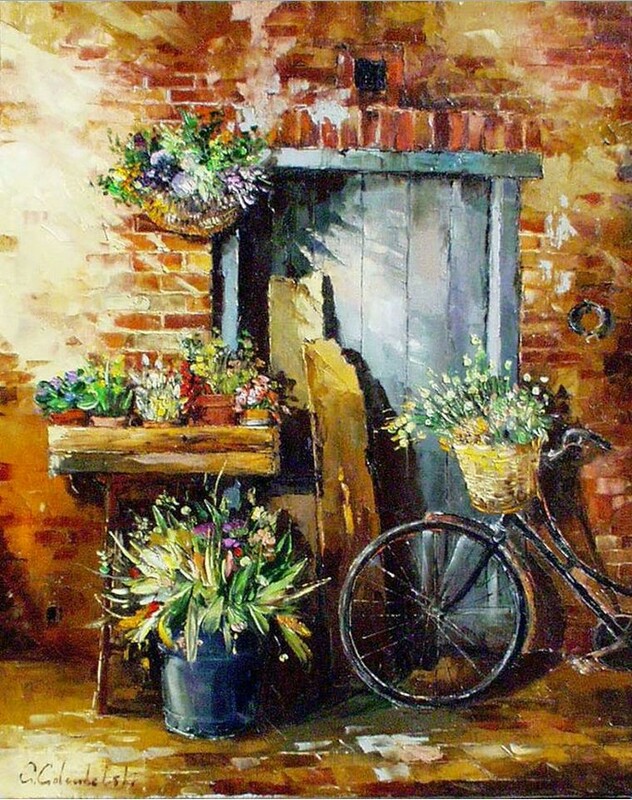 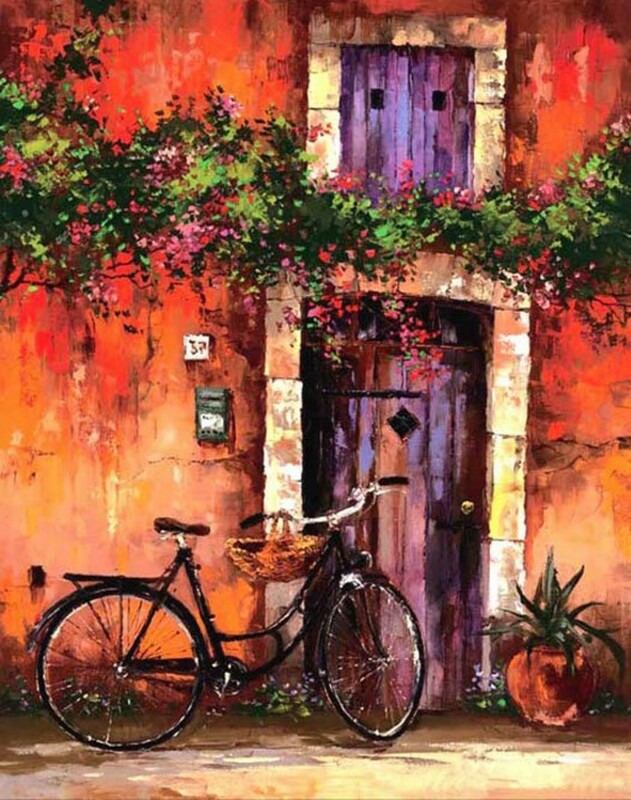 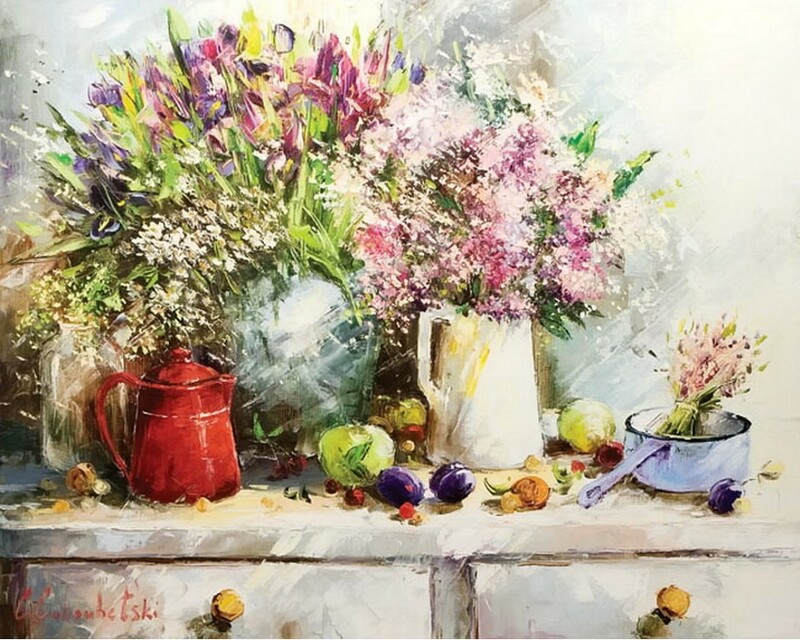 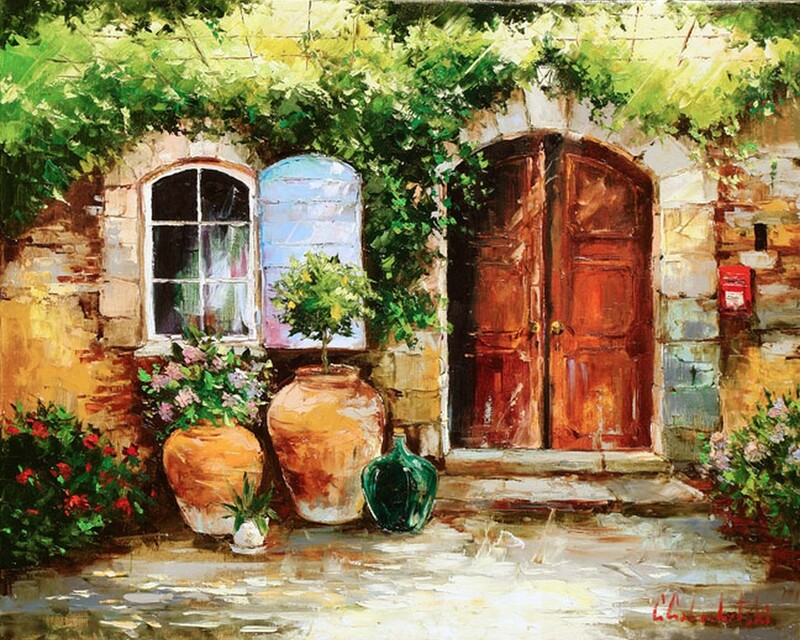 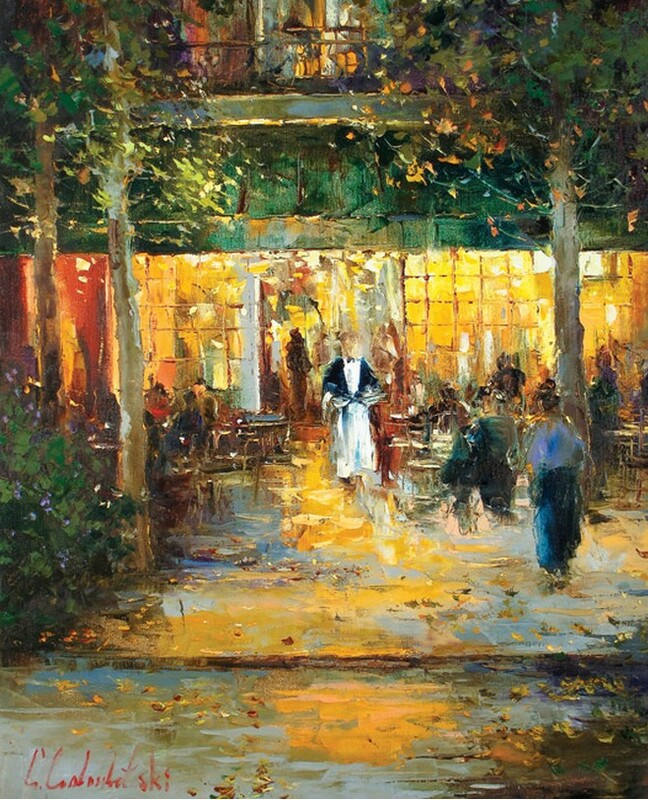 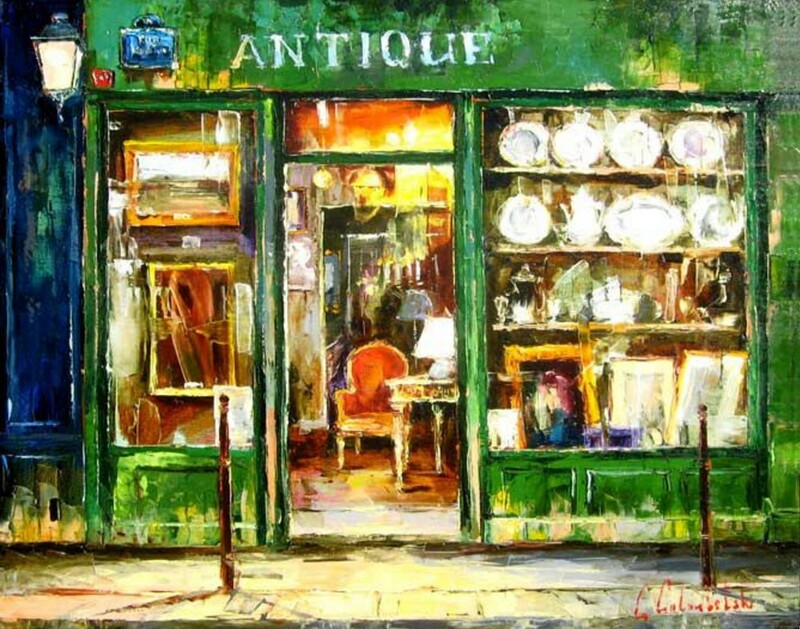 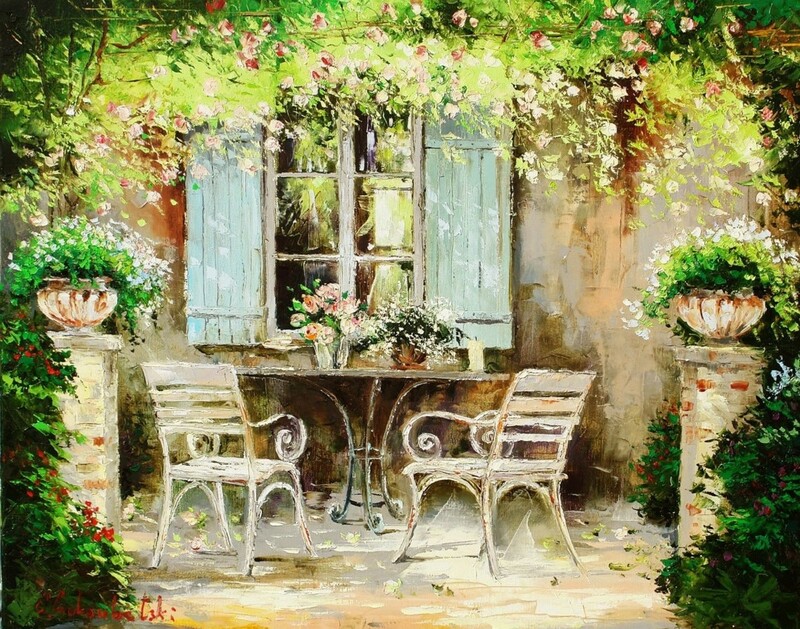 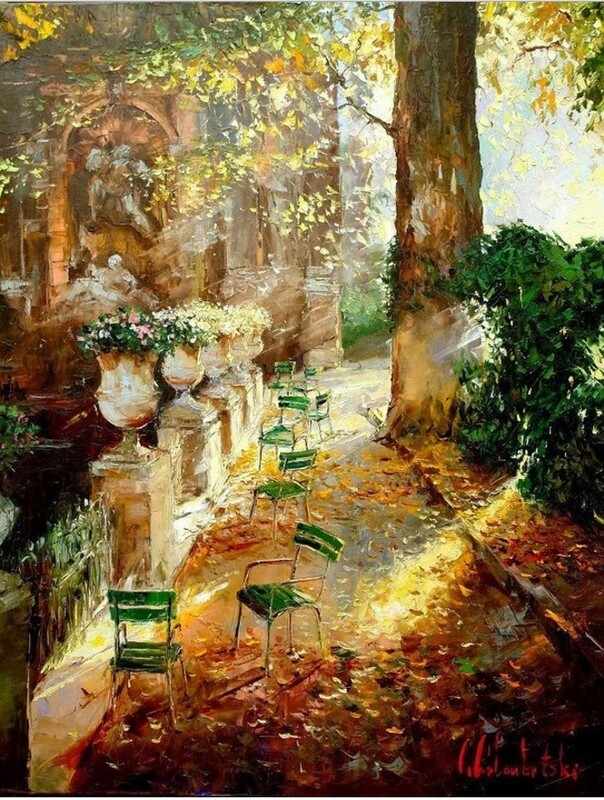 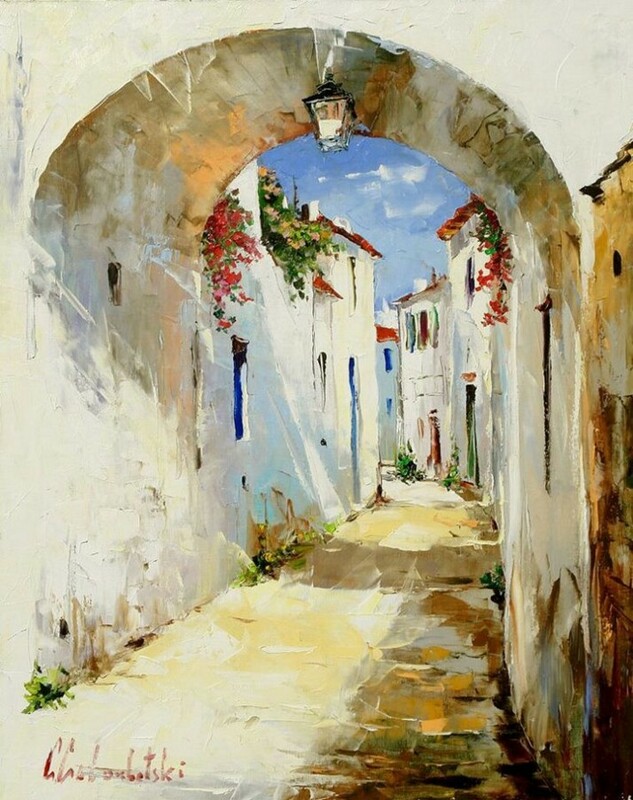 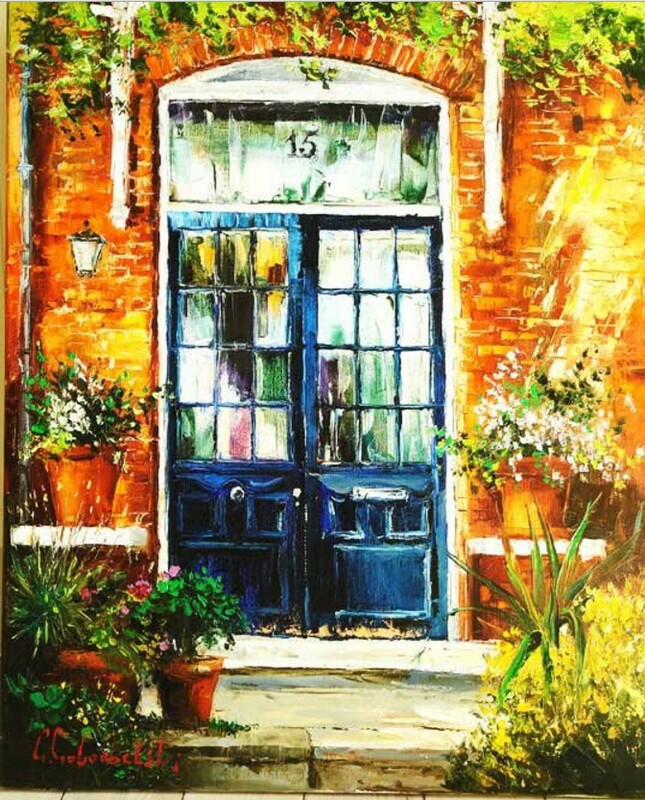 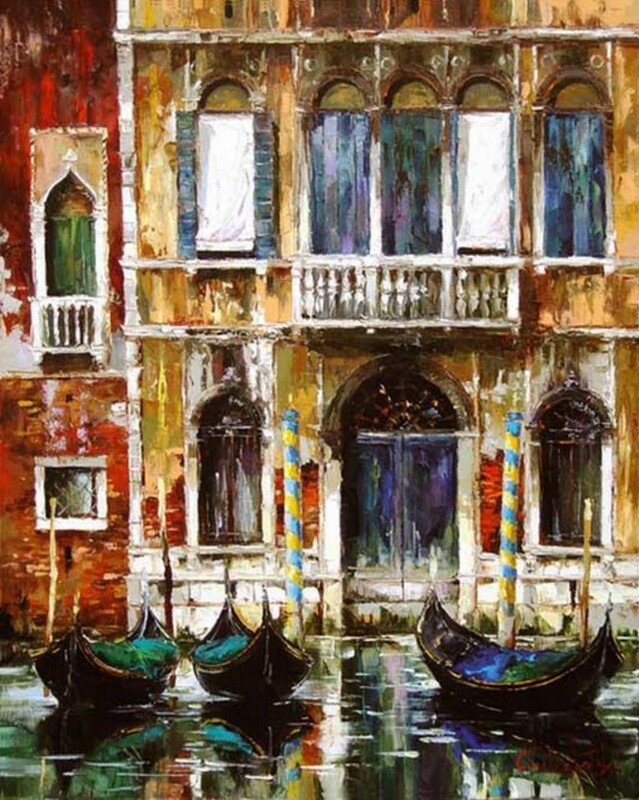 Goloubetski’s inspiration comes primarily from the aged architecture and geography of Europe; he has a special association with the United Kingdom, the Mediterranean and the Far East. 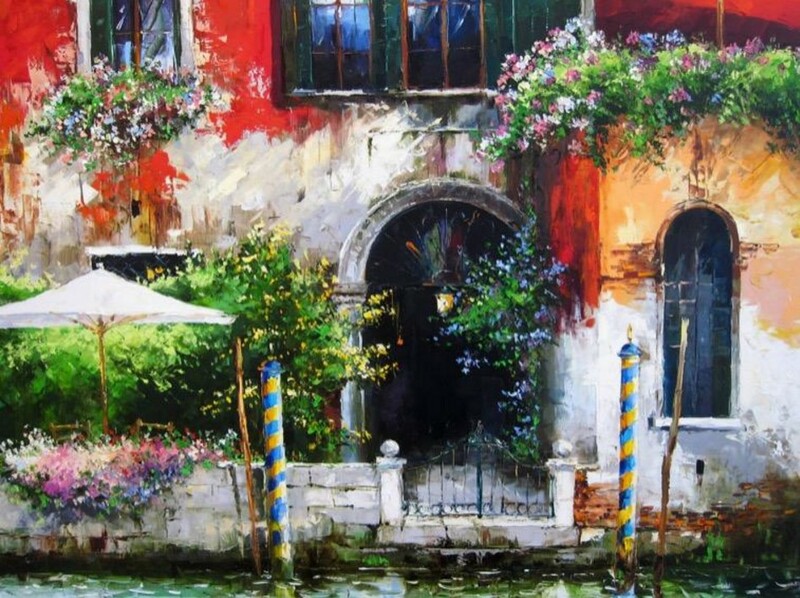 He travels extensively looking for images to paint. 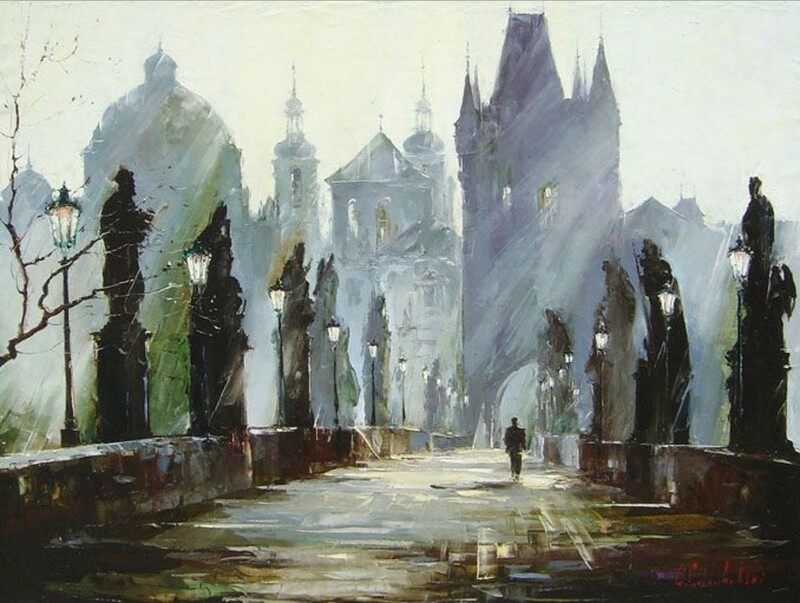 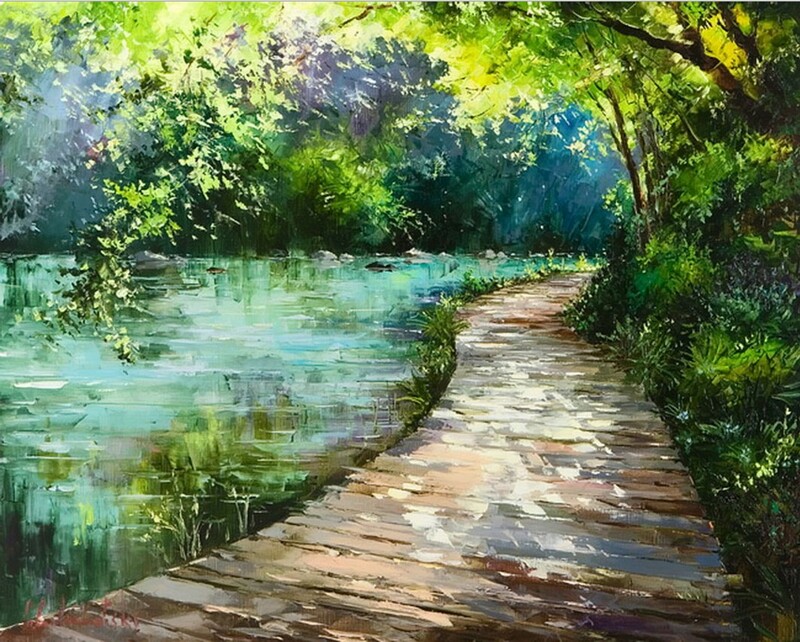 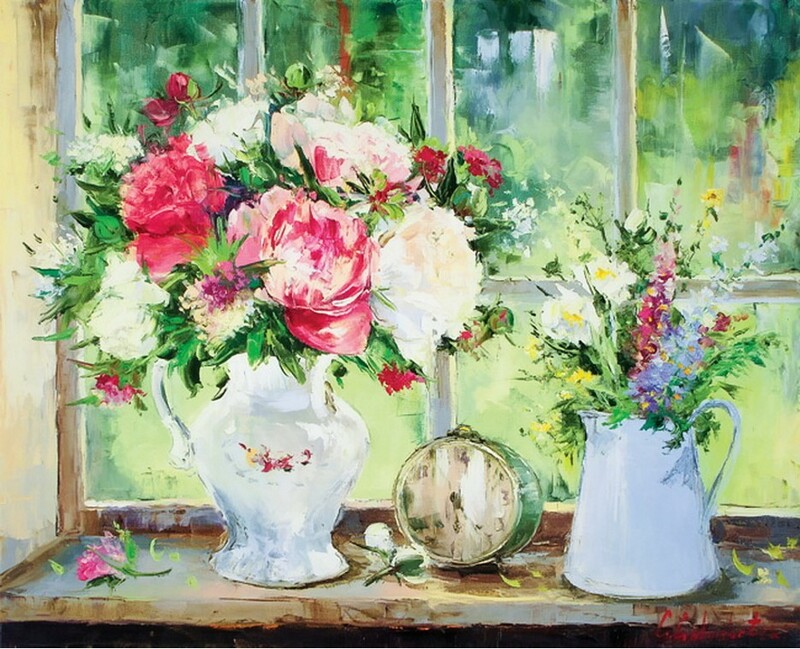 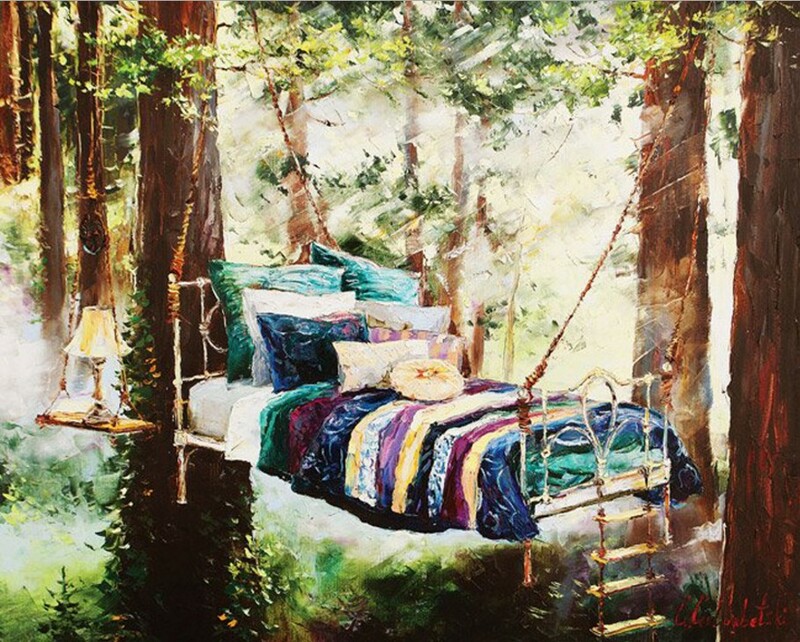 When he finds a view that inspires him, Goloubetski will sit and absorb it for some time, paying particular attention to how the natural light conditions of the day influence his perspective and moreover his emotional response. 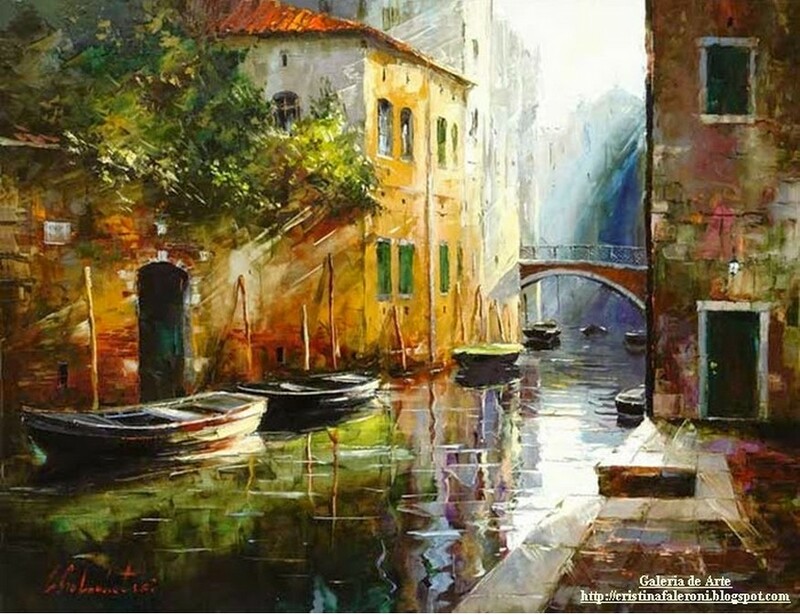 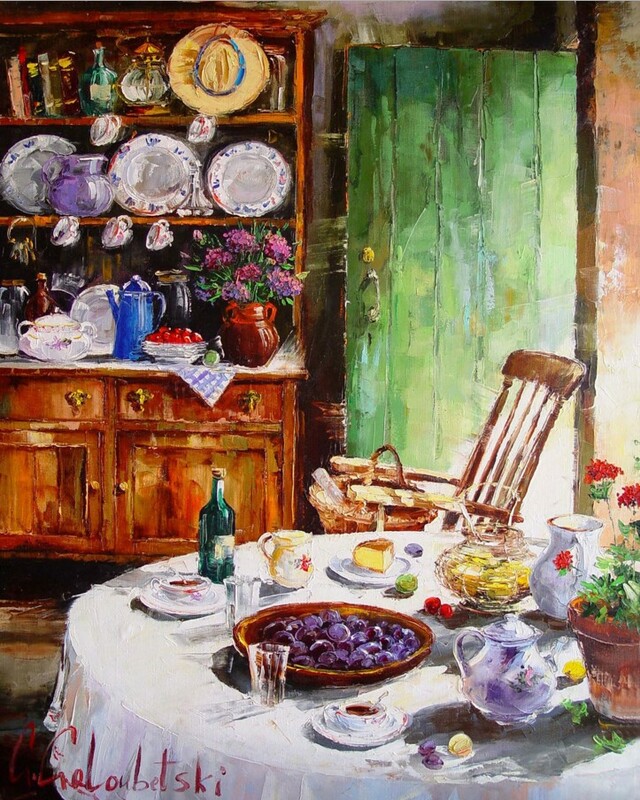 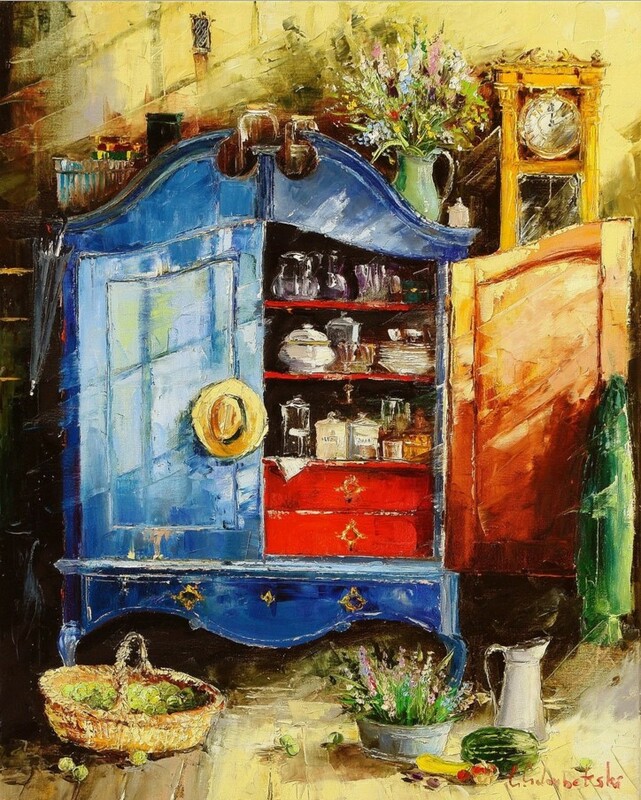 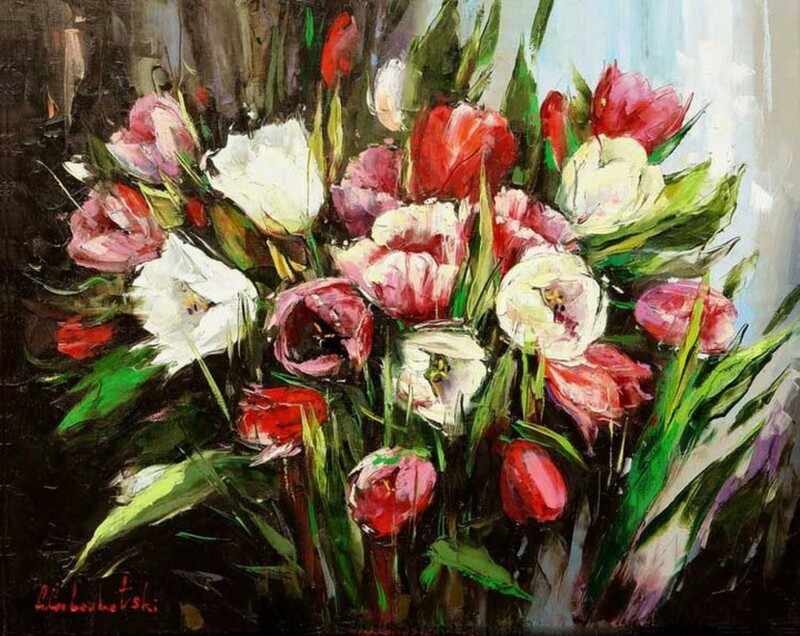 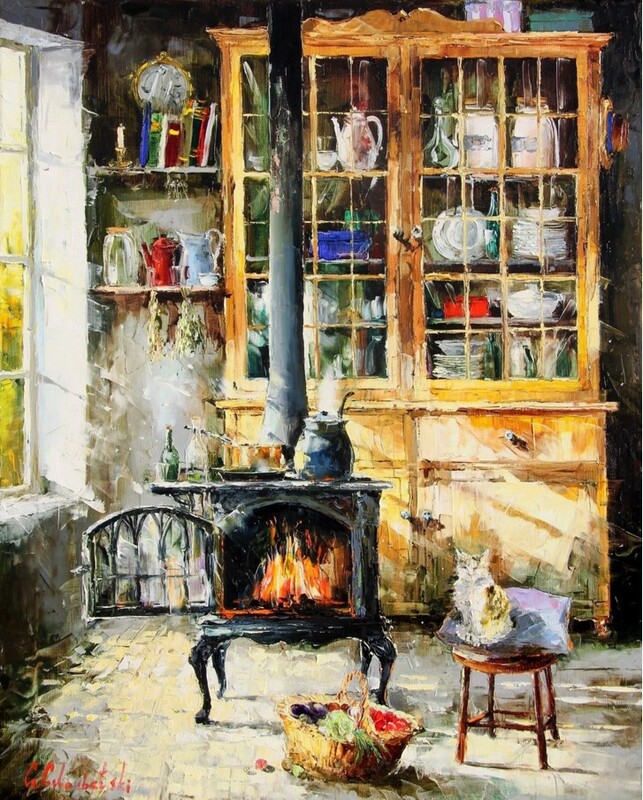 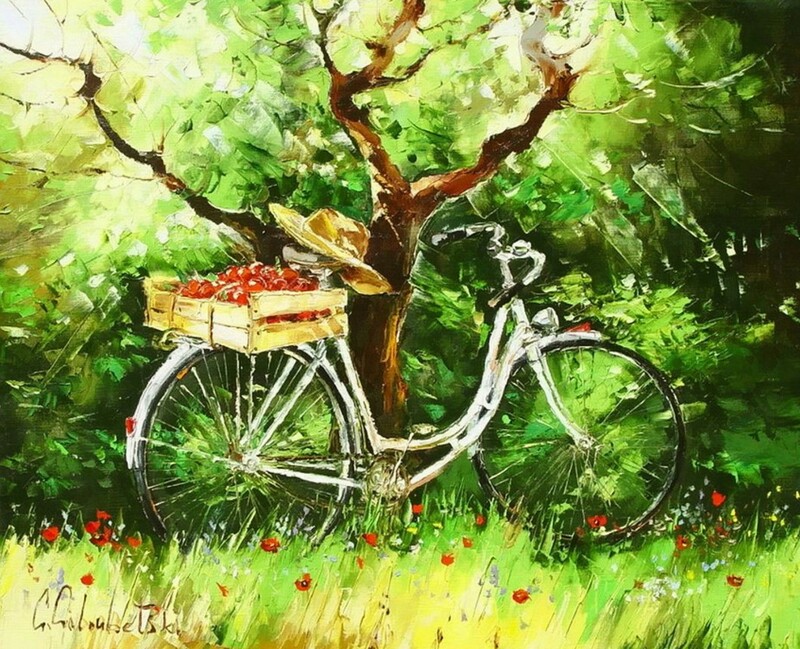 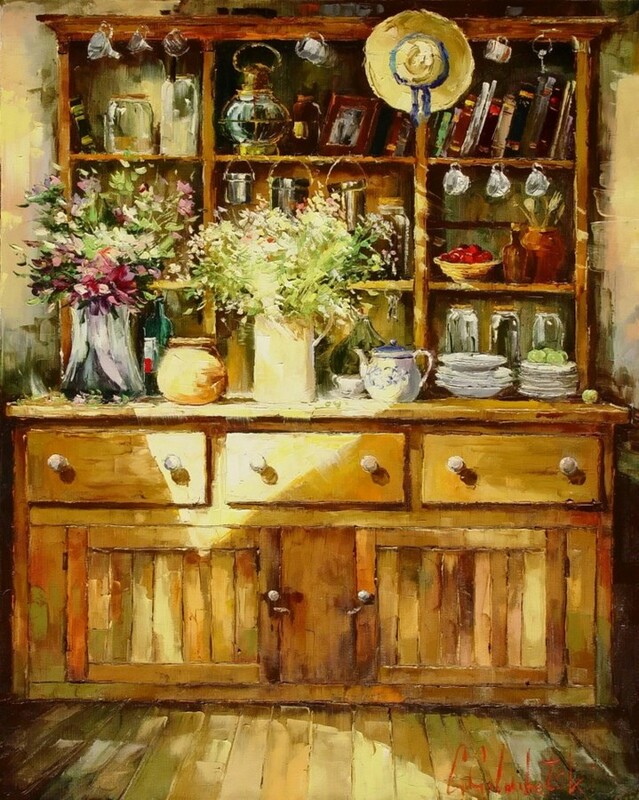 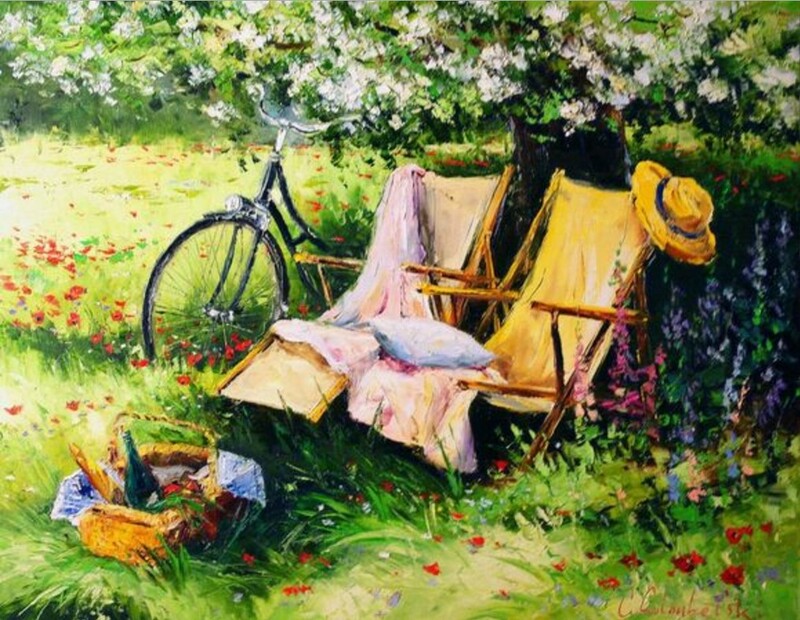 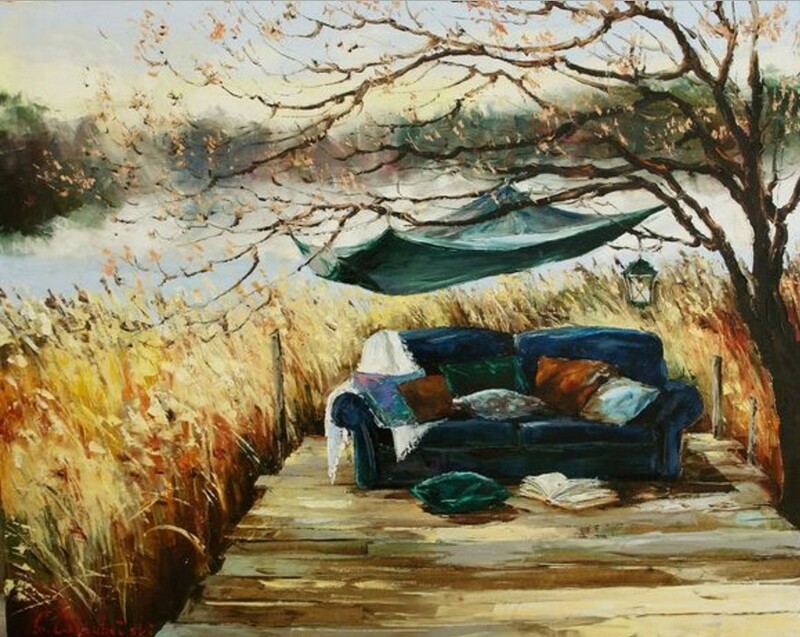 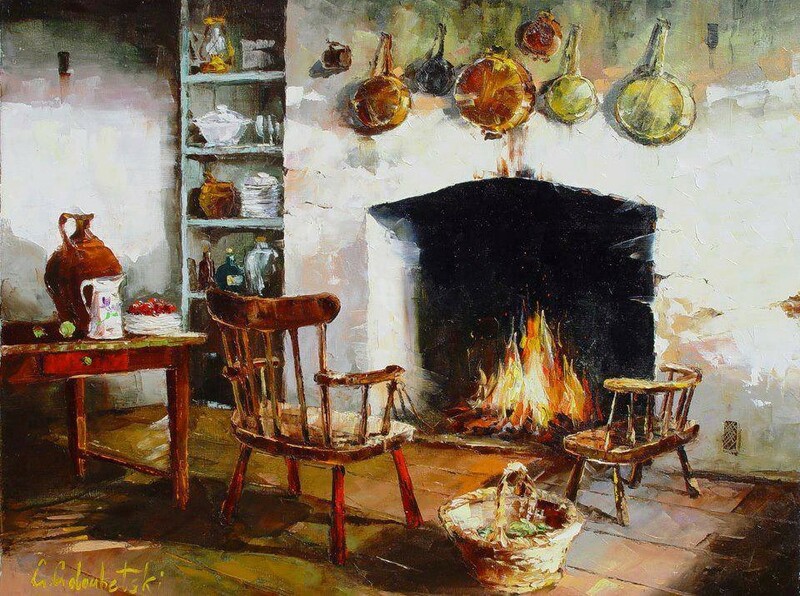 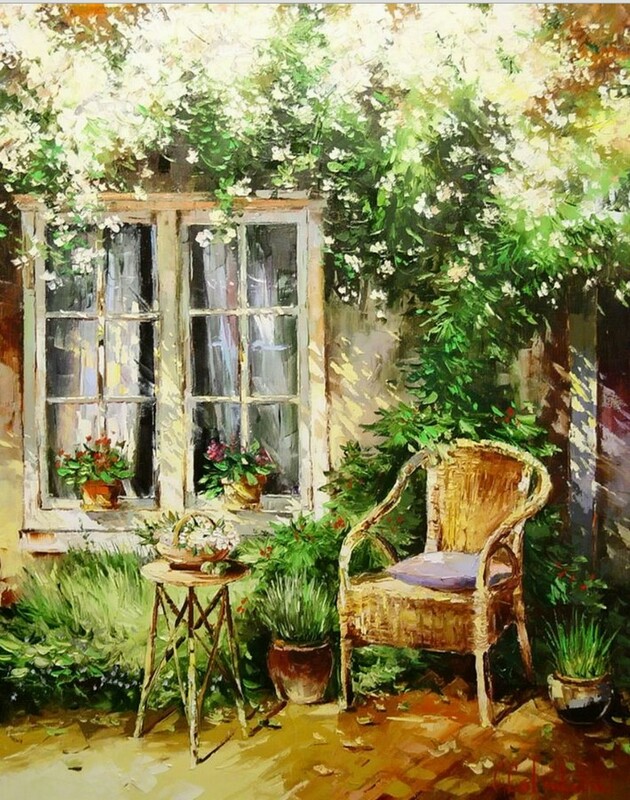 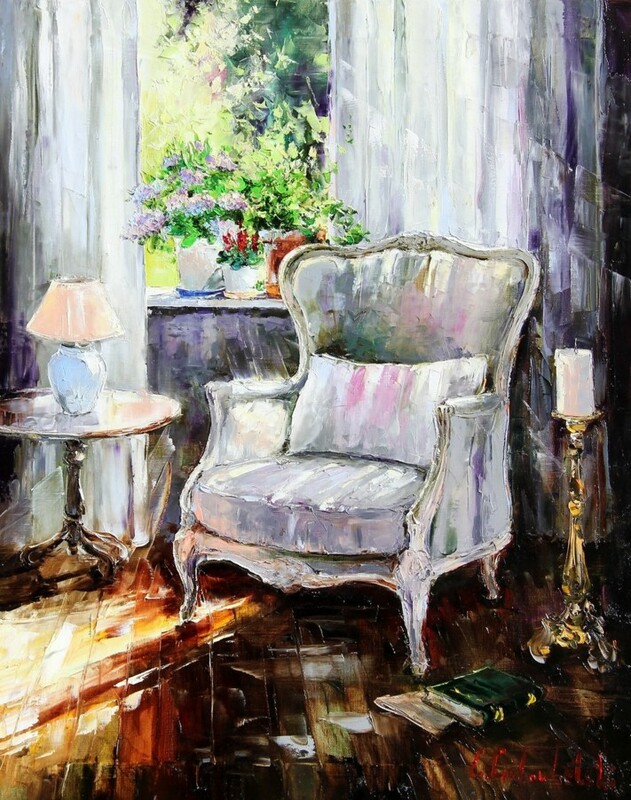 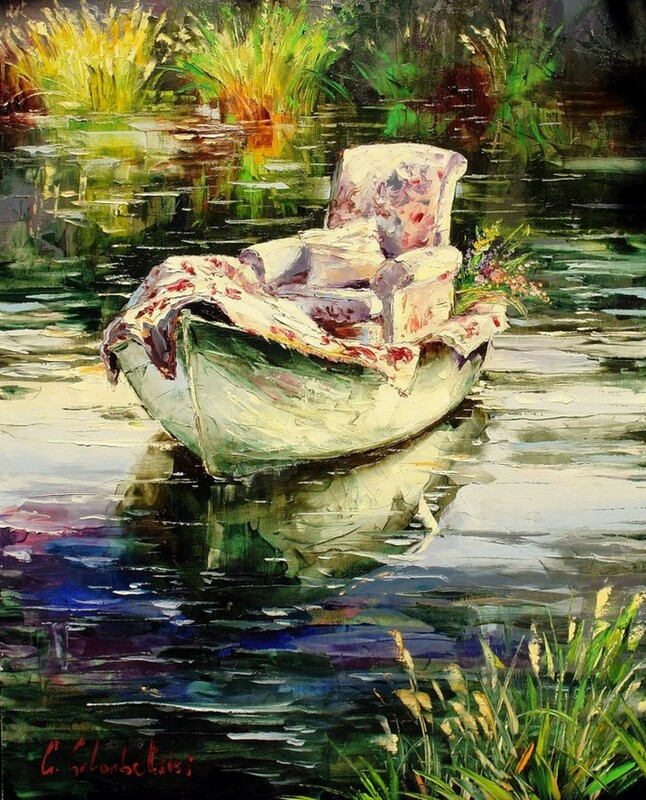 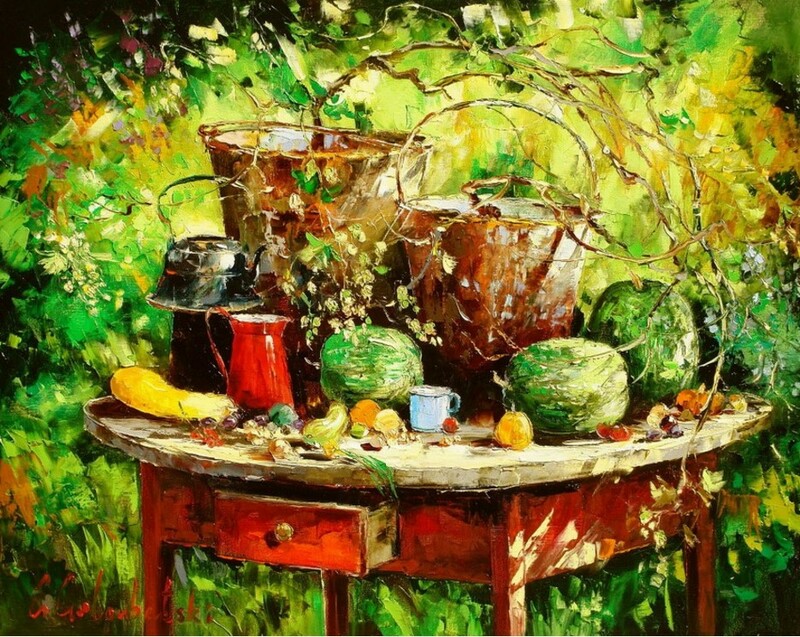 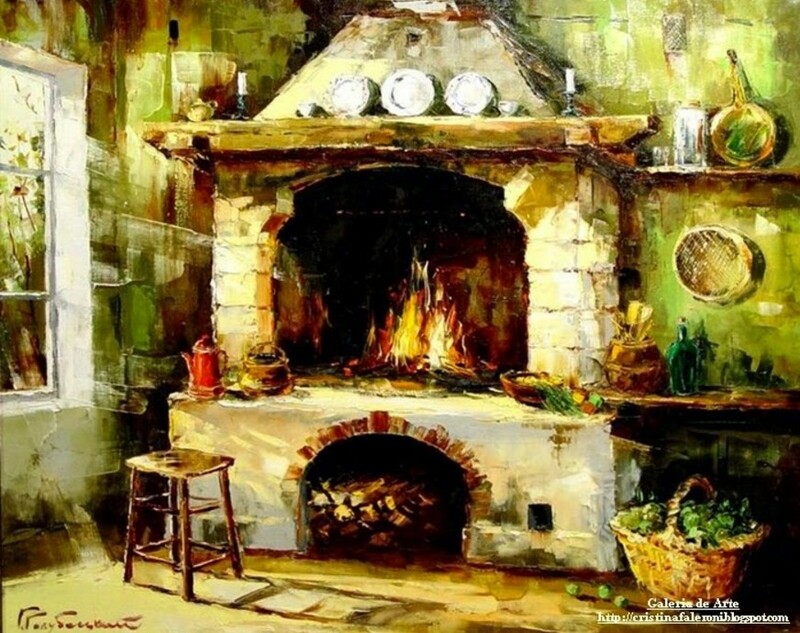 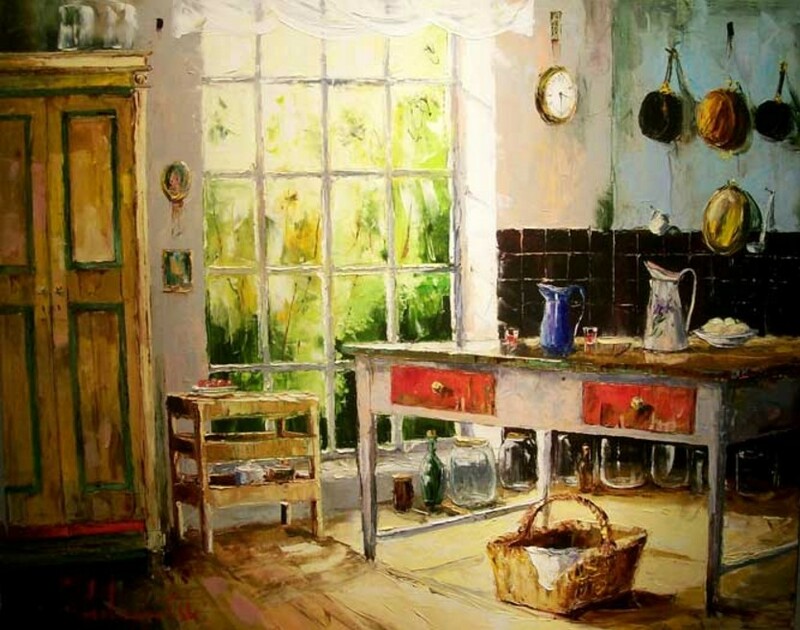 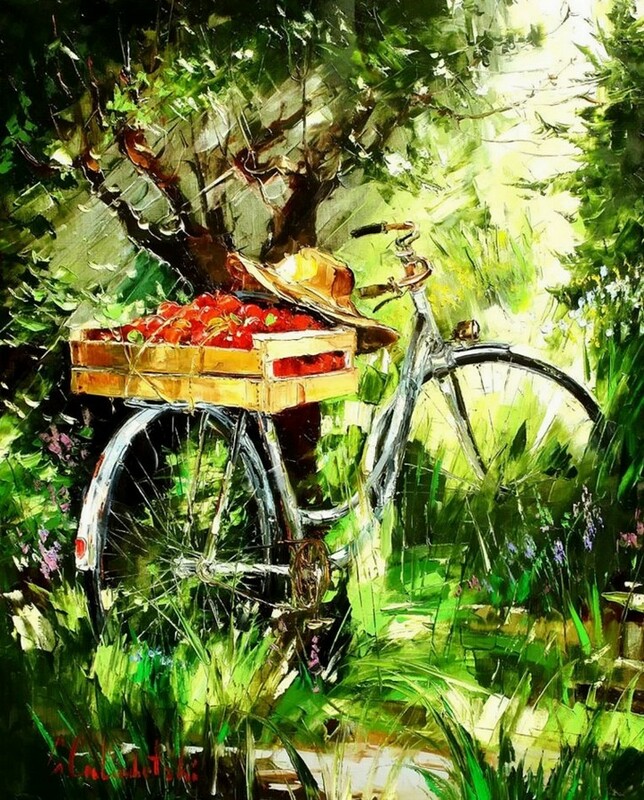 Returning to his main studio in St Petersburg, Goloubetski will sit and consider his reference material. 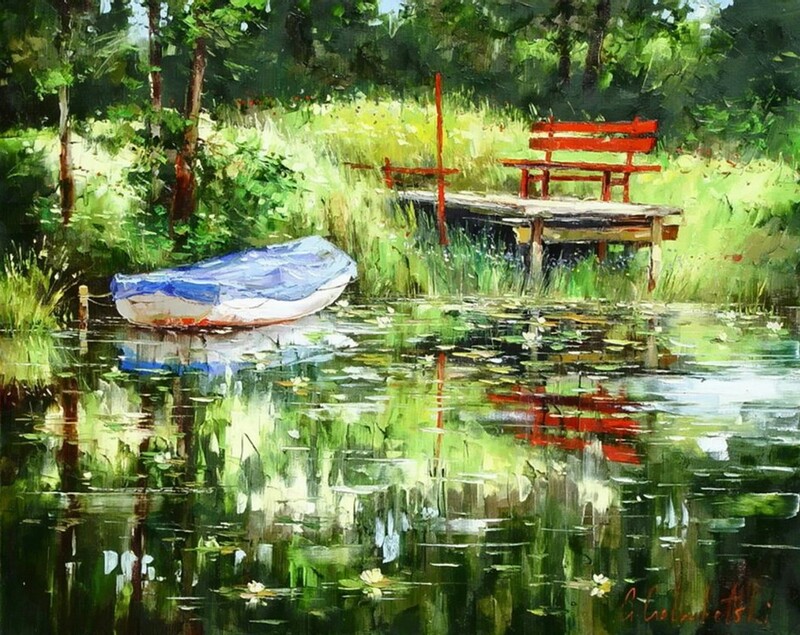 Reminding himself of scale, he then begins to paint. 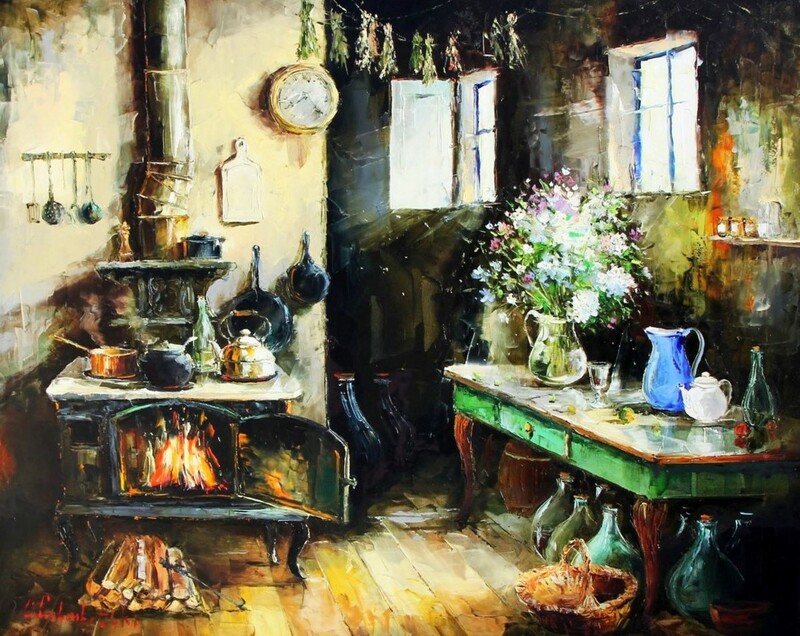 It is Goloubetski’s emotional response to the subject that he conveys to canvas, in oil, with his palette knife.